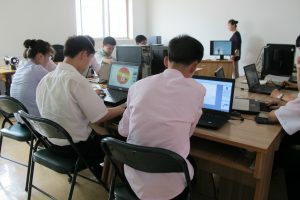 The Design College for students with disabilities is located in PyongYang, the heart of North Korea. 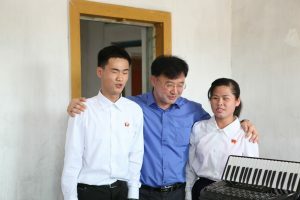 This is not only be the first college of it kind, but also the first school for people with disabilities in DPRK’s capital. The ripple effect has begun, and attitudes towards disability has begun to change. We need to now encourage this, and promote health for the generations to come. We, the KFPD and DULA International, believe that the Design College is a vital step towards development, and hope you will take part in the journey. 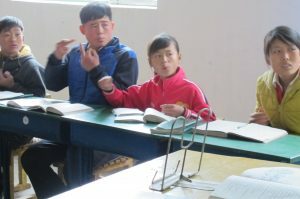 In all, there are 11 schools for disabled children in North Korea: 8 for the Deaf, and 3 for the Blind. There are around 1500 pupils in total, all between the ages of 8 and 19. Pupils live within the school grounds, where they are cared for by their teachers. In addition to the education facilities, there are agriculture areas, where pupils and teachers grow their own crops. • To support education and a progressive learning environment by providing basic materials for learning and specialist equipment (e.g. Braille printers). • Support and improve the children’s nutrition and wellbeing through our Greenhouses Project. • Encourage extra-curricular activities so that pupils have the opportunity to develop skills in art, music, sports, and so on. • Physical, emotional and social support to prepare children for their future, becoming part of a bigger society. At DULA International , our work is motivated by our faith. We are committed to following the teaching and example of Jesus Christ in His kindness and understanding with those who are poor, vulnerable or forgotten. Through our work, we aim to relieve and support the vulnerable from developing countries.